Old Windsor Dental Practice was accepted as a BDA Good Practice Scheme in 2010 and has been a member since. The practice was established in 1981, having been a branch practice for some years before that. 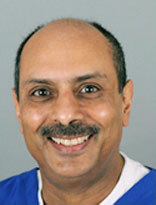 The practice was taken over by the current owner U. Bose, in 2008 having worked in the practice as an associate since 1996. The practice has seen continuous development since then, offering a broader range of routine & specialist dental services. Specialist treatments being offered include, Orthodontics for both children and adults, Periodontics (gums), Endodontics (root-canal), and Implants, in addition to all aspects of general dentistry including teeth whitening. Our dental practice has established itself amongst the local community and has met stringent patient care criteria to become a prestigious member of the British Dental Association Good Practice Scheme since 2008. We know and appreciate that an attractive smile is one of the most noticeable and memorable features for any patient. That is why the whole dental team at the practice work hard and with pride to provide you with the very best overall dental healthcare. We offer a warm & friendly welcome to all our patients. Long established devoted team, where our patients come first!